Give a brief summary of your career to date. Freelance years were split between hiding from Kelvin MacKenzie at The Sun and being dragged to the pub by sports editor Chris Nawrat at The Sunday Times. First full-time post was for the ST in January 1992. Became football editor of the ST prior to Euro 96. After 10 years, I have moved a whole floor at Wapping to become Deputy Sports ed of The Sun‘s online edition. What was your first sports assignment? My football debut for The Sunday Times was Everton v Man City about 15 years ago. I couldn’t find a telephone point in the press box so interrupted two guys chatting nearby and had them down on their hands and knees trying to help me. While scrabbling around I realised my assistants were Evertonian Duncan McKenzie and City captain Paul Power (pictured, right, in action in the 1980s). What has been your most memorable assignment during your career? 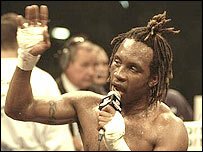 WBC world super-middleweight title fight at Newcastle Arena, 1996, Nigel Benn v Sugarboy Malinga. Benn was expected to win easily. The fight was delayed and when it finally got underway I was told the edition was being held for my 1,000-word live report. Naturally, I had to file copy between rounds, the hope being that the contest would be over fairly swiftly. It went the full distance. To cap it all, Benn lost on a split decision, but just as I’d filed my last take, Benn grabbed the ring microphone and announced his retirement. As I dictated a new opening par to a very frazzled copy taker, Benn called his girlfriend into the ring, got down on one knee and proposed. I thought that night would never end. Outline your involvement with the SJA – who introduced you, when did you join? Joined in 1992, mainly thanks to the constant nagging of colleague and former chairman Peter Wilson. Have made some great friends through the SJA since. Football managers: the Swede or the Turnip? At least The Turnip said something worth listening to, even if it was simply telling the press off for looking miserable. What did you want to do as a job when you were at school? I informed all of my teachers, quite confidently, that I would play alongside Geoff Hurst in West Ham’s forward line. How does online journalism vary from working on a newspaper? It’s the new rock’n’roll. A newspaper has to use it’s website as a living, breathing extension of itself, not simply a vehicle to carry what was in the paper that morning. The immediacy of it all is exciting and demanding. Every minute is a potential deadline. What makes The Sun online a fascinating adventure is that we are breaking our own stories, doing our own interviews but can also throw in a whole range of additional goodies such as video clips, slideshows and podcasts. So many newspaper websites are static impersonations of their masters. What sport do you play now – and to what level? I am a clueless amateur footballer, blessed with the anticipatory skills and grace of a three-toed sloth, capable of bringing everybody around me down to my level. Who raises your ire more, and why: Mourinho or Ferguson? They are both fantastic for football and for the media. Even when they don’t say anything, it’s worth reporting. Does any of your family have any involvement with sport or journalism (or both)? My granddad Bob Wheeler was an amateur jockey in the 1930s, based in Epsom. My dad, a Scot from Edinburgh, claimed to have played rugby a few times for Herriots FP but I’ve never checked that out. My brother-in-law was on Luton and Villa’s books as a keeper in the 1990s but never made the grade. My wife is a journalist for The Sunday Times. What would be your car of choice? A free one that works. What do you consider to be essential abilities for a good sports journalist? Not being afraid to ask. Being able to shut up when necessary. Which colleagues or managers have been most influential or helpful in your career, and how? While at school our English teacher told us that we had to buy a book suitable enough to be read out in class. It was 1972 and I was 10. I managed to find a football novel, Goalkeepers Are Different, by Brian Glanville. I think Brian was 103 at the time. 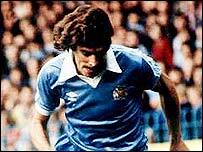 Little did I realise that many years later I would have the privilege of being sat next to BG in many a cramped press box as he spilled scalding coffee over my lap or bellowed out the latest scores from Serie A as I attempted to concentrate on the game in front of us. It was also a real pleasure being his football editor at the ST.
What has been your favourite sports headline? The Sun‘s ‘Ignited colours of Benetton’ after Jos Verstappen’s F1 Benetton burst into flames while making a pit stop during the 1994 German Grand Prix. What sports book would you recommend? 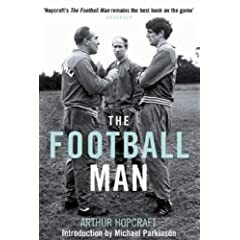 The Football Man by Arthur Hopcraft. What aspect of the business do you really dislike? Being lied to. Which sports journalist’s work do you look for first (and why)? Hugh McIlvanney’s column for the ST. Even though his career has reached extra-time, I have still never met a journalist who cares so much about every comma or semi-colon among his vibrantly expressed thoughts. Bond: Connery or Daniel Craig? Sean Connery is the undisputed heavyweight champion. What advice would you give to anyone wanting to enter the profession? Check out Jim’s own website by clicking here.